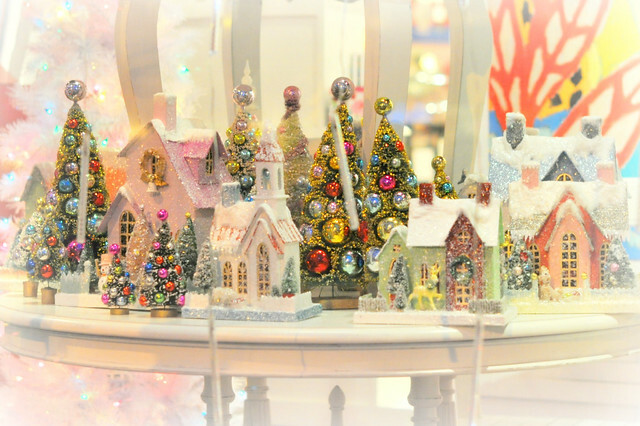 The displays inside the rest of the store are just as beautiful. I so admire people who can do this. This gives an idea of the eclectic mix of the merchandise. A different view. 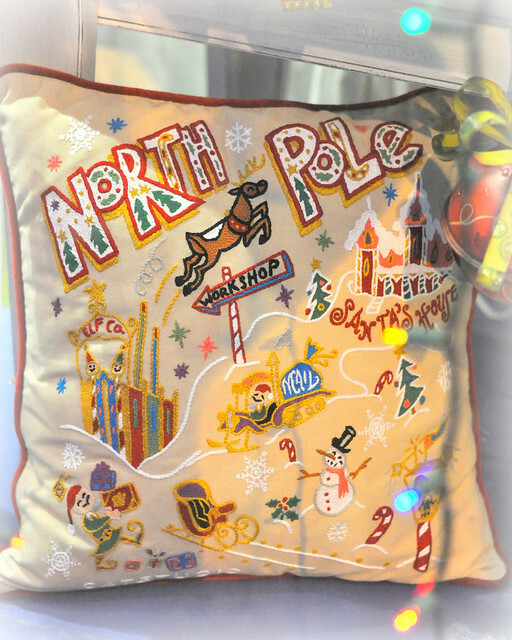 Want to see that North Pole pillow up close? They have pillows from individual states and countries too. I don’t know what the trees are made of, but I love the way they look. Kind of like Whoville in The Grinch Who Stole Christmas. 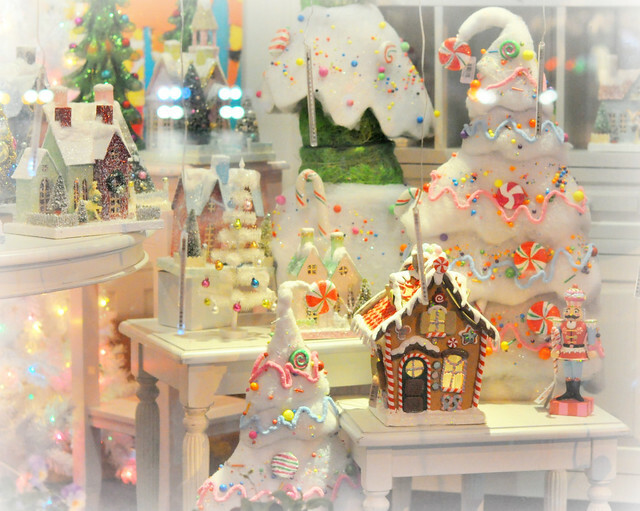 Can you tell I’m kind of partial to the gingerbread house? I added some glow and a soft white vignette to all but one photo. After all, if you can’t apply some pixie dust during the holidays, when can you? 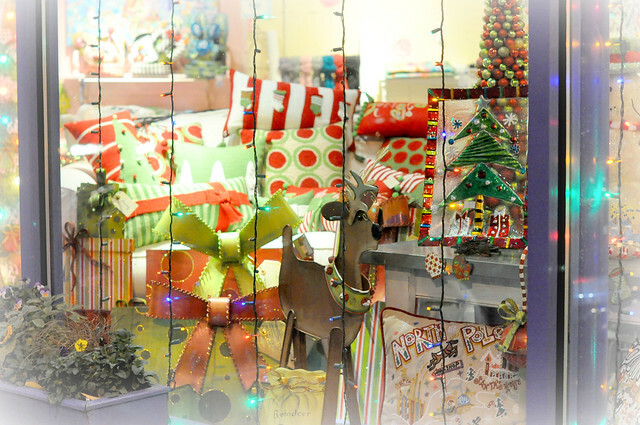 This entry was posted in photography and tagged Bethesda, Christmas displays, gingerbread house, maryland, North Pole pillow, storefront, The Blue House, Westie print, white Christmas trees. Bookmark the permalink. 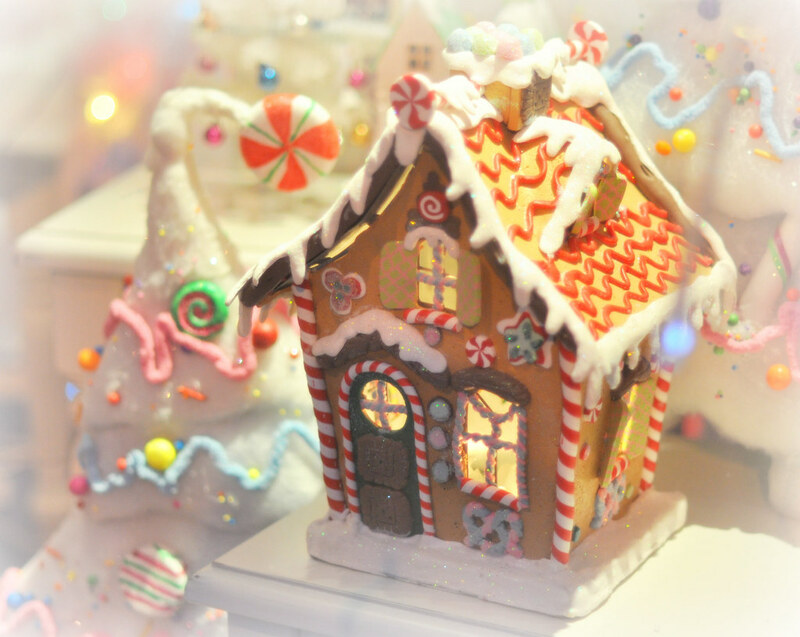 That gingerbread house is like a work of art! Is that edible or just for display? I think it’s probably inedible, Jackie. The snow is a nice touch, I have to admit! 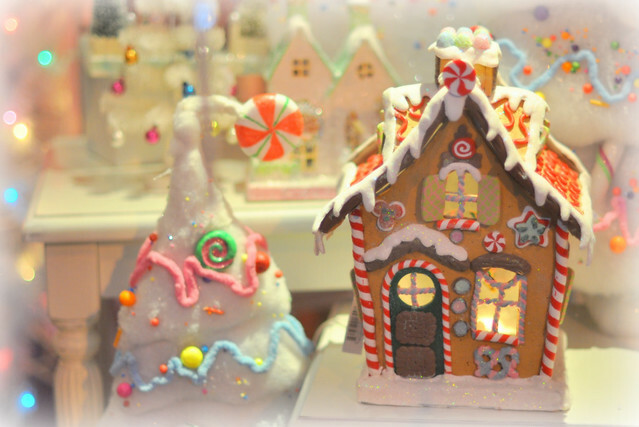 That gingerbread house, I love it. It’s like the house in Hansel and Gretel in one of the books I had as a child but lovelier as in the book the witch was sitting inside and sticking her nose out. Wow! That place is worth a Christmas visit just to look. I hope that all of their effort pays off in nice holiday profits – they totally deserve it. Love the odd-ball trees . . . almost looks like they might be made of that canned insulation foam that expands on contact with air . . . but whatever – they are really cool ! What a nifty shop. I think you may be right, Susan. I may ask them what it is, just out of curiosity. Oh Carole, What a magical wonderland! It certainly chases away any traces of Bah Humbug! I would say very creative people who created this amazing stuff. I want to buy them all, lol. Thanks for sharing these photos. You may also check out some recent posts of mine at http://feeltoogood.wordpress.com/ for photos of Indian handicrafts. 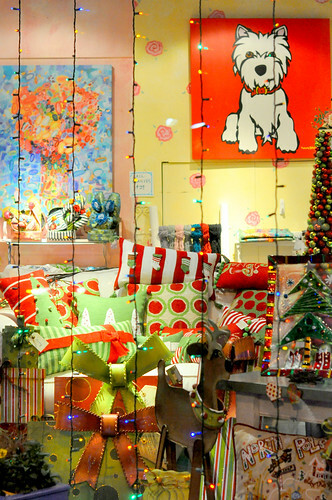 Wow – I think I’d take a trip from home here in Colorado to Maryland just to see this shop. It’s so whimsical and magical. Love your photos. Thanks so much for dropping by the blog! Walking into this store always brings a smile to my face, Jennie.